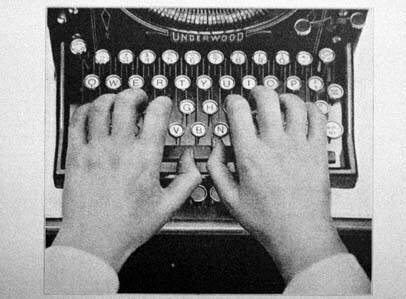 Even though I am a feminist, I must say that one of the biggest cons ever pulled on women by feminists-at-large was the misguided advice that girls mustn’t learn to type because they will only be expected to be secretaries. I learned to type – amid much tears and discipline) -50 years ago and, like you, people are amazed at the speed, even at employment agencies. It stands us in good stead, as you so rightly point out, in this keyboard world. As one who has had to do battle with a jealous bloke some years ago for access to a computer, excellent keyboard skills give one a certain one upmanship of the right kind. Another brainless thing I came across was that when my own daughter was at high school, to decide whether you were equipped to do shorthand you were given a maths test. Someone, in their witlessness, had decided that one needed maths ability to do shorthand. Well, this chick would never have made that cut but has some good skills (other shorthand people can read my shorthand) and pretty good shorthand speeds in full flight. Can’t quite manage conversational speed but not far from it. All goes to show how some people can make life difficult when it can be relatively simple. When I was in high school, the girls were expected to take typing, since if we worked we’d surely need it in our job. That is, if we didn’t become nurses or teachers. Typing class rarely had any boys participating, just not a masculine activity. Know what you mean about being glad to have had the skill, as I, too, had great speed and low error level. Has certainly been beneficial with the computer keyboard. Thanks for stopping by at “Along The Way.” I used my typing all those years both in work and personally. Now, it’s a must for everybody.